The latest update for indie sci-fi game Imperatum is introducing an all-new Bitcoin Mode that will scale game difficulty with real-time Bitcoin value. Looking for more indie titles? Check out our guide on the 15 best indie games on PC. The Crypto Update will introduce a new difficulty mode that will see loot drops, enemy difficulty, and more, affected by real-time changes in the price of Bitcoin. When Bitcoin value jumps, so will players’ chances of finding more lucrative loot drops, though they will have to face off against tougher enemies in the process. If the value of Bitcoin falls, however, so will players’ chances of finding lucrative loot, though enemies will be easier to defeat. The update will also introduce a new level to Imperatum’s Volantis City, with a new in-door office area adding around 15 to 25 minutes of content, quests, and areas to explore. It also includes a number of bug-fixes and improvements, including AI navigation tweaks, a new audio transition system, and main menu glitch fixes. A full list of the Crypto Update patch notes can be found here. 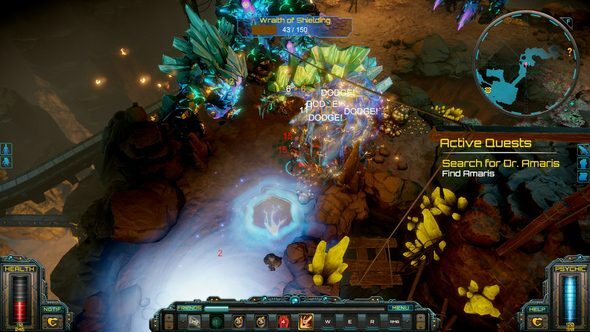 Imperatum is a futuristic action RPG where you take on the role of an agent trying to defeat a mysterious veil threatening to consume the galaxy.